It would be very useful to be able to apply campaigns to accounts and not only to leads and contacts. We send our promotional faxes and emails to our accounts but not specifically to a given contact within the organization but still would like to track their impact. This idea is being considered for a future release through the pilot IdeaExchange Prioritization exercise. 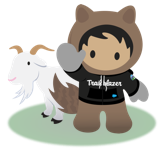 Before February 3, 2019, visit https://sfdc.co/IDXrGroup to access the prioritization survey, where you can rank the feature among others under consideration. Hello. It is crucial that when we check the accounts, we know if they belong to a campaign. Otherwise, we cannot remember if the account belongs to a lead that was converted before. This is a key requirement for us. When workign with some of our bigger customers, the staff can move around or leave the company but we still want to see reocrds relating to the customer account not just the contact we talked with. With ABM being the wave of marketing and sales' future, you think this would be a higher priority. If this isn't on the roadmap, and if there is no workaround, are there any other suggestions on how to track Account activities tied to Campaigns? So... is there any update on this one? or should we give up hope by now, and just create our own custom work around? Salesforce Ideas - "Where great ideas go to die." The "Link Campaigns directly to Accounts" idea died a long, slow death of abandonment and neglect while under consideration. During its lifetime it was loved by over 1,700 people and merged with 8 other ideas whose lives were cut short in their prime. This charming and thoughtful idea was never able to live up to its potential of becoming a real feature, but it will be remembered by many for its cheerful outlook and bold defiance in the face of death. "Lives are like rivers: Eventually they go where they must. Not where we want them to." We get pre-event registration lists by company and titles (that may not match precisely) and the ability to add an account to a campaign versus a contact would let us do some important pre-event planning. I sure hope this capability to manage a campaign by company versus contact gets into a 2019 release. It's really a feature for the proper functioning of my organization. I am waiting for it to be set up impatiently. This would be most helpful to us also. How will we know when it is available? Is there any update on this or on the prioritization? We are considering making each account a contact with a specific record type which would be super messy but allow us to track in the way that we need to and use the Add to Campaigns button in reporting. This would resolve so many reporting issues! Hi @Oliver Jones, stay tuned because we'll be announcing the results of the prioritization exercise within the next few weeks. Thanks! @David Louie: What is the outcome of the IdeaExchange Prioritization exercise?